I was going to do a deep, meaningful post on the internet and what it means, but then a box arrived on our doorstep. This provided two immediate sources of joy to our house. First, it was a box. Boxes are awesome. Duh. 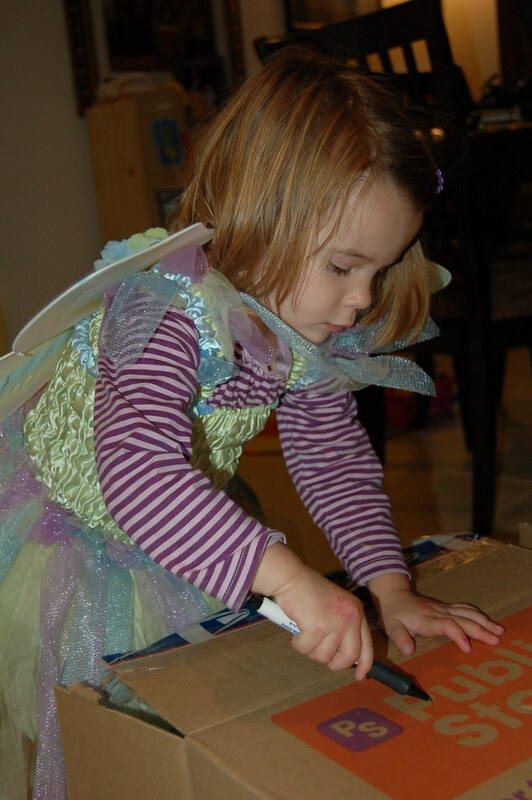 Second, the box contained a butterfly fairy costume from Grandma. This obviously had to be put on, but we also had to immediately begin climbing in an around the box. And decorating it, of course. The box even had to come upstairs for bedtime. 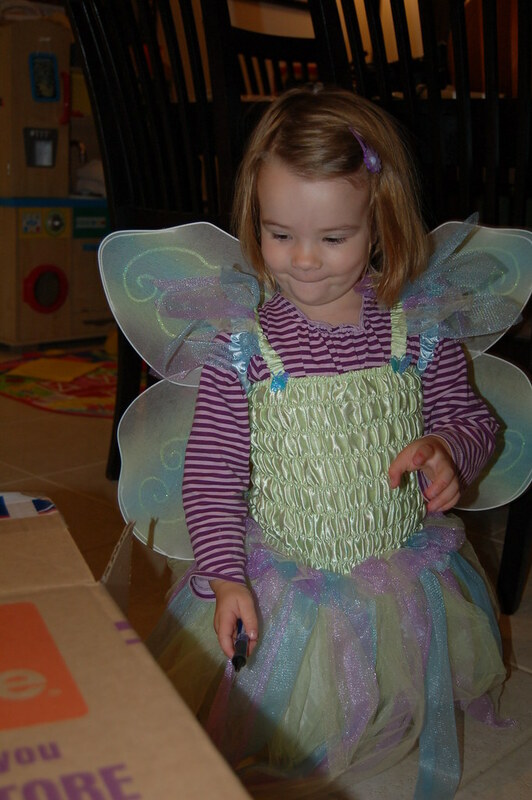 In fact, it was a pretty even fight between the costume and the box. I’m guessing the costume will win out, long term, but for tonight, she loved them both equally. I also took a video, which you’ll find below. It’s short, but it pretty accurately summarizes our post-fairy evening. 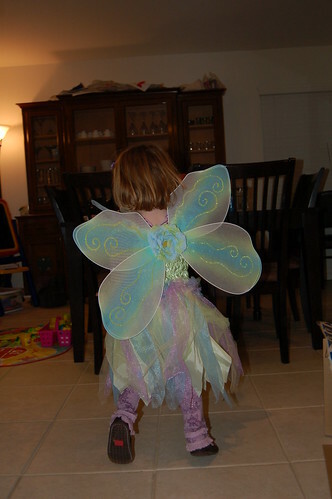 This entry was posted in Abigailia and tagged Boxes, Fairies. Bookmark the permalink.